I have a $200,000 home. If I get a reverse mortgage and spend $50,000 then pass away, does the bank then get my house? No. Your estate would sell the house for $200,000. The estate would pay the bank $50,000 plus any interest that has accrued; the money left over goes to your heirs. How popular are reverse mortgages? The reverse mortgage was accepted by the FHA and signed into law by Ronald Reagan in 1988 but didn't gain much popularity until 1999 when policy changes lowered interest rates and cut closing costs. Today with more than 10,000 baby boomers retiring everyday the reverse mortgage is fast becoming the loan of choice for seniors looking to both buy or refinance a home. Am I qualified for a reverse mortgage if I have an existing loan? It's very possible. There are many factors such as your age and equity that must be considered in order to qualify. But if you do qualify with an existing loan, it will be paid off during the closing. Will my heirs be forced to sell my home? No. If they decide to keep it, they can refinance the property with a traditional mortgage. Otherwise, they may sell the house and use the proceeds to repay the loan balance and keep the difference. Can the lender take my home away if I live too long? No. As long as one borrower continues to live in the home, keeps it in good repair, and keeps taxes and insurance current, you can not be evicted, foreclosed, or asked for re-payment. 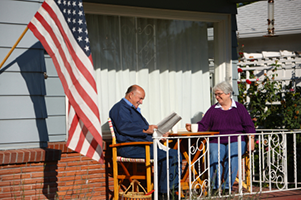 Will a reverse mortgage affect my public benefits? 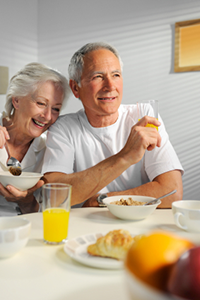 A reverse mortgage will not affect Social Security or Medicare but may affect Medicaid. You should seek specific advice on your situation. Yes. The loan proceeds are not considered income by the IRS. Are there restrictions on how I use the money? No. It is your money to use any way you want. My spouse is permanently in a nursing home. Can we participate? Yes, only one owner is required to occupy the property. More than 90% of reverse mortgages are FHA insured "Home Equity Conversion Mortgages." There are other types of reverse mortgages for specific situations, such as high-value homes.